On Tuesday HEXUS reported upon Windows 10 update KB4482887, which was described as a 'quality update' as it included no new features just a collection of patches. The headlining news was that the retpoline software construct, which was devised by Google to address speculative execution patch induced system slowdowns, was included. In its blog post about the KB4482887 update, earlier this week, Microsoft highlighted its findings that "When all relevant kernel-mode binaries are compiled with retpoline, we've measured ~25% speedup in Office app launch times and up to 1.5-2x improved throughput in the Diskspd (storage) and NTttcp (networking) benchmarks on Broadwell CPUs in our lab". A couple of HEXUs readers were pleased with their performance boost after applying the patch too. Unfortunately, a trio of wrinkles have appeared to spoil KB4482887's glossy countenance over recent hours. 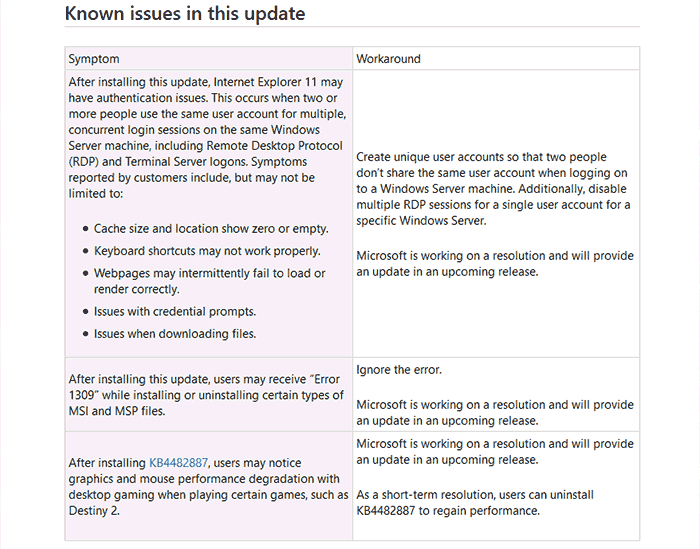 If you head on over to the KB4482887 release notes page today and scroll down you will see the three known issues in the update. First of all there is a possible problem with IE11 and authentication. Secondly users might experience 'Error 1309' when installing certain types of MSI and MSP files. However, the third known issue is the worst as it works contrary to the retpoline performance increases Microsoft originally boasted about with KB4482887. Remember, retpoline is really only attempting to claw back Windows performance lost due to patches for Spectre / Meltdown vulnerabilities. Felt worst on older gen CPUs, the original Spectre / Meltdown patches, resulted in slowdowns particularly in disc and network access. 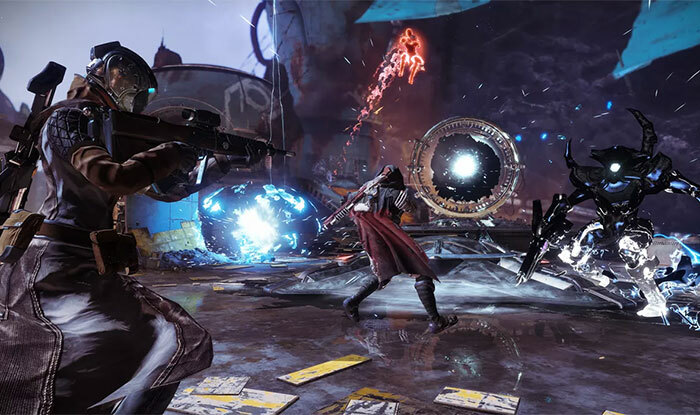 But now we see that the magic bullet dubbed KB4482887 might cause users to "notice graphics and mouse performance degradation with desktop gaming when playing certain games, such as Destiny 2." Looking around Reddit and Twitter one can't be certain if games other than Destiny 2 are affected, but it seems likely. In the meantime if your PC is adversely affected and you can't wait for a 'resolution' from Microsoft, it is OK to "uninstall KB4482887 to regain performance," says Microsoft in the patch release notes. When you apply a little bit of thought, it can make sense, but if you step back and squint..
a patch to improve performance, decreases performance. That's Microsoft(R) Magic™. This update broke my PC. I'm tired of updates which break my PC in such a spectacular way that it takes me hours to fix it. I even made it so I could bring up the boot menu to get into safe mode (they removed this from Windows 10) to allow me to uninstall the updates easier…. and they appear to have removed that now as well. So this time all I get is a blank screen once I've booted and I can't do anything to get into safe mode. So yet again I'm back to turning it off mid boot 3 times to bring up the rescue menu - that's fine, I'll just power down a booting PC repeatedly. I can't see that going wrong in any way shape or form. The problem is the patch is not universal. If you do not have any Spectre uCode mitigations enabled the patch does nothing. If you have Skylake or higher it is not applied / does not have benefit due to the differences in the RSB. The real issue is going to hit in 19H1, as uCode for Spectre v2 is included in the base install mcupdateGenuineIntel.dll (you will have to use the .dll rename ‘hack’). As I understand if you have Broadwell or earlier and hardware uCode you will have Retpoline enabled - according to MS AI, this is on 1809 with this KB. So it won't affect everyone equally. Hats off to MS they're really screwing this up. Is it entirely fair to blame Microsoft when it's all to do with Intel chasing performance over security?